One of the most critically acclaimed fighting game series, Mortal Kombat is returning this year with its latest instalment in the long-running series. Mortal Kombat 11 is slated to release on April 23, 2019. The game offers some new characters like Kronika the keeper of time, Geras- servant of the keeper of time and some very old characters which would be making a return. In terms of story, Mortal Kombat 11 is going to explore the entire series timeline with a time travel plot. While everyone is hyped for the game I have prepared a list of important things that you should know about one of the oldest and fan favourite characters Sub-Zero, who will be making a return in Mortal Kombat 11. Sub Zero is not a single character in the franchise of Mortal Kombat, there are actually two Sub-Zeros. Bi-Han is the original sub-zero who served as a deadly assassin of the Lin Kuei clan. Bi-Han was the one who killed Scorpion and his clan along with other Lin Kuei clan members. Bi-Han was killed by Scorpion later on in the original mortal kombat tournament. Bi-Han was later on resurrected by the antagonist Quan Chi who has served as a villain in mortal kombat series for a long time. Bi-Han was resurrected as a wraith referred to as the very incarnation of evil, and was known as "Noob Saibot". Bi-Han younger brother Kuai Liang is now currently assuming the role of sub-zero out of respect for his fallen siblings. Kuai Liang is way more kinder than his elder brother Bi-Han, which was also one of the reason that Scorpion left him alive. Kuai Liang original code name was Tundra and he was known by the same before he assumed the role of sub-zero. Noob Saibot aka the former Sub-Zero beholds the powers of shadow and phantom. Before dying Bi-Han was a cryomancer. 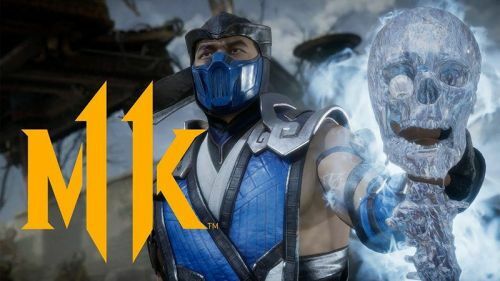 Bi-Han and Kuai Liang were both descendants from Cryomancers, an outworld race possessing the power to manipulate and control the element of ice.